The story has friendship theme on it but a different one. Something I would like to call, “Shattered Friendship”, the same theme as Natsuiro Kiseki. 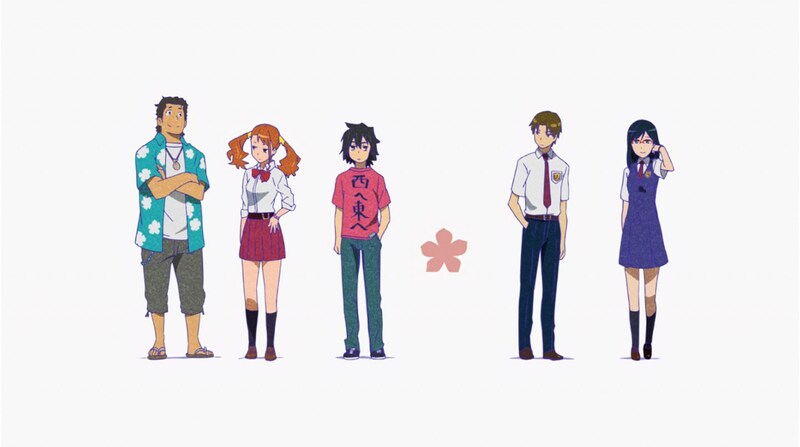 The story focuses on 6 main characters, with 2 of them acting as the central. The 2 central characters are Yadomi Jinta (Jintan) and Honma Meiko (Menma). The other 4 characters that take roles of secondary main characters are Anjou Naruko (Anaru), Matsuyuki Atsumu (Yukiatsu), Tsurumi Chiriko (Tsuruko), and Hisakawa Tetsudou (Poppo). All of them are close friends in their childhood. They called their gang “Chou Heiwa Busters”. 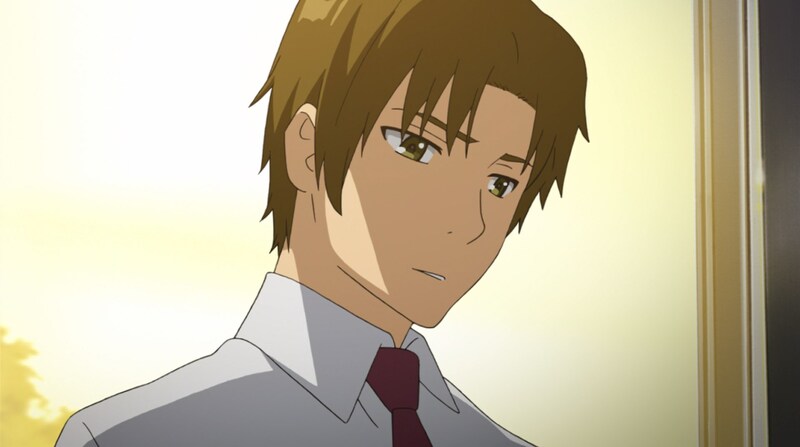 However, Menma was died in an unfortunate incident which indirectly involved the others. Years later, the rest of them are in high school. But now, all of them have changed and their friendship are shattered. The main story starts when Menma suddenly appears before Jintan (now already in high school) and asks him to grant her wish. 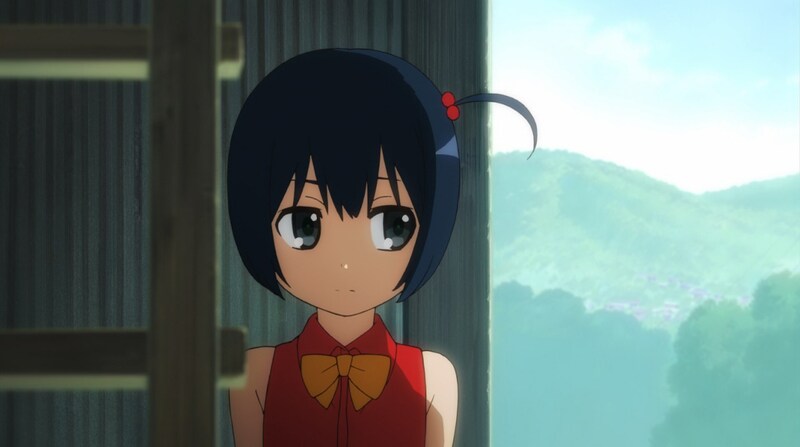 However, Jintan is the only who can see her. Jintan didn’t believe it and think of her as part of her delusion due to her stress in summer. As the story proceed, Jintan feels that he must to something to fulfill Menma’s wish. He tries really hard to get in contact with his other childhood friends. Poppo is the only one who believes Jintan’s story. 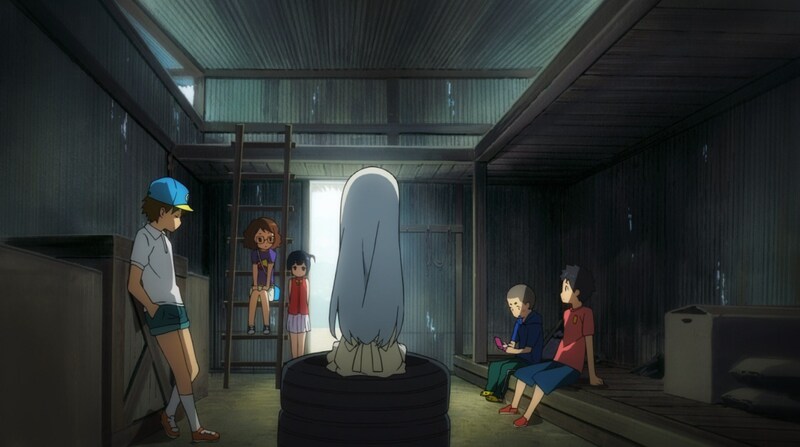 But later, the others would join Jintan and team up to fulfill Menma’s wish so her soul can go to Heaven. 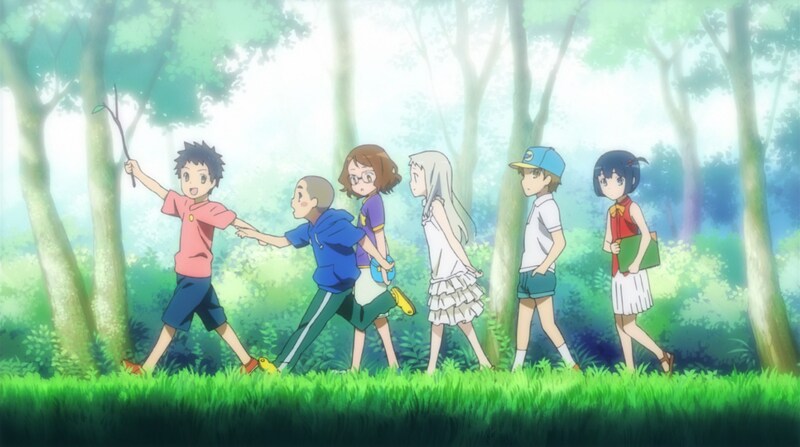 They are gradually getting their childhood friendship they have been missing, thanks to Menma. This anime is filled with conflict but it’s not bad because the resolution is very satisfying. Something that only masterpiece-class anime can offer. One the movie, the story takes place roughly one year after the TV Anime. 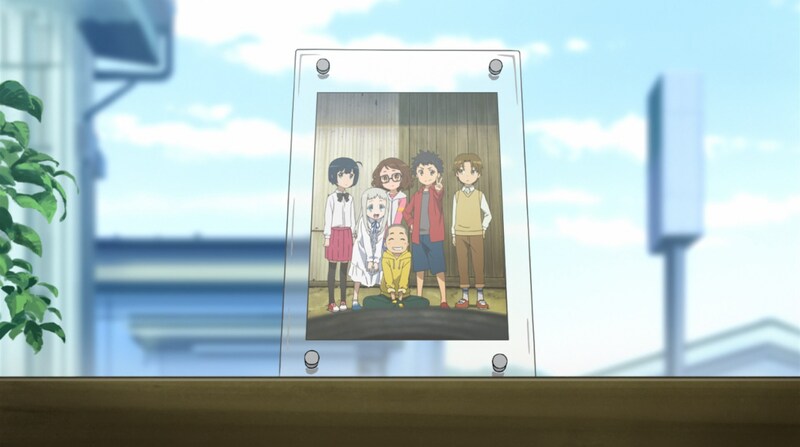 Each of them wrote a letter to Menma. The letter is the expression of their feelings that they couldn’t tell to Menma. The movie also serves as the final summary of each character feels during the story on the TV Anime. However, you won’t be able to understand the movie without watching the TV Anime first. As an anime released in 2011, the animation quality is something that I would expect, which is noticeable not as good as Natsuiro Kiseki (which was released in 2012). Not only that, if I compared Ano Hana animation quality to A Channel (which was also released in 2011), Ano Hana’s animation looks rather pale in comparison. 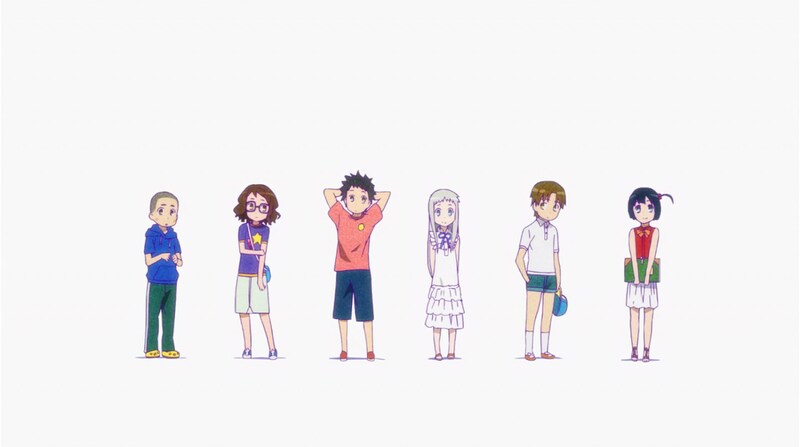 I am not saying Ano Hana’s animation is not bad. It’s very good! But not a class leading quality. The character design is kinda simple but looks okay. By okay, I’m not stating the character design is very good or better. But it’s certainly not bad. In audio part, the music is very good. It’s certainly supports the atmosphere of the scene, bringing deeper impression of each scene. On the conflict scene, you can feel more of what each character feel. Maybe making you like a part of the story itself. Truly impressive. The theme song is outstanding, especially the ending song. The opening theme is 「青い栞」 (“Aoi Shiori”, literally means Blue Bookmark) by Galileo Galilei. The ending theme is 「Secret Base ～君がくれたもの～ (10 years after Ver. )」　(“Secret Base ~Kimi ga Kureta Mono~ (10 years after Ver. )”) performed by Kayano Ai, Tomatsu Haruka, and Hayami Saori. This song was originally released in 2001 and the original performer is ZONE. Actually, I decided to watch this anime because of this song. Yes! An outstanding song! This song alone able to motivates me to watch this anime! It feels that story of Ano Hana was based on this song. Jintan used to be the leader of the 6 when they was still in childhood. 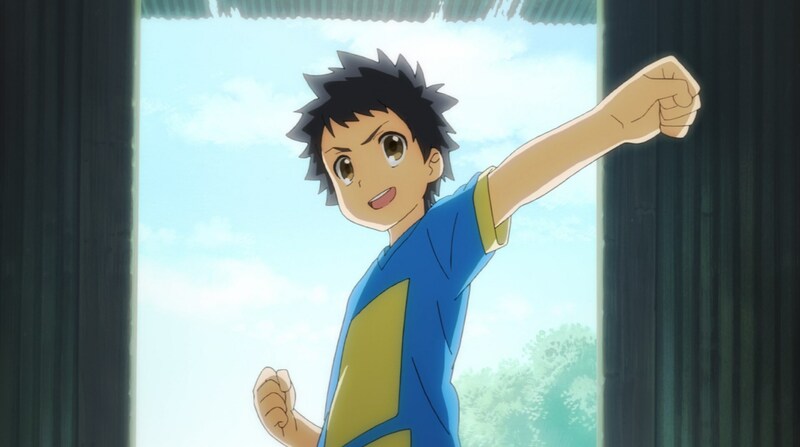 He used to be energetic during his childhood, but he gradually changed after the death of Menma. In his high school life, he often doesn’t come to school and ended up as Hikikomori. He is the only one who able to see and talk to Menma. 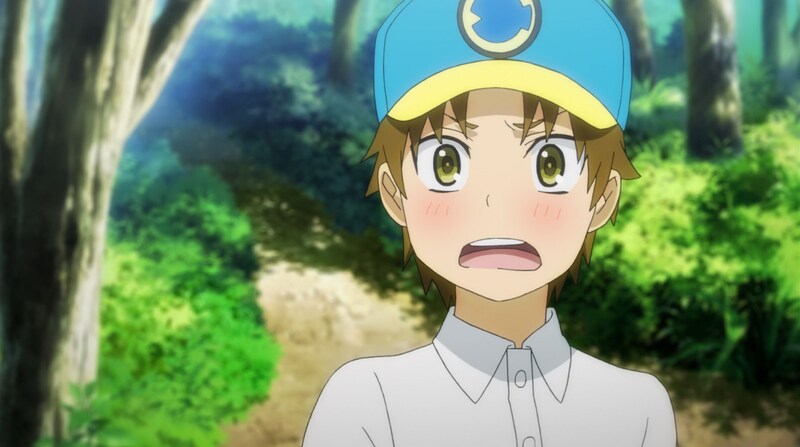 He works really hard to fulfill Menma’s wish although he was reluctant at first. 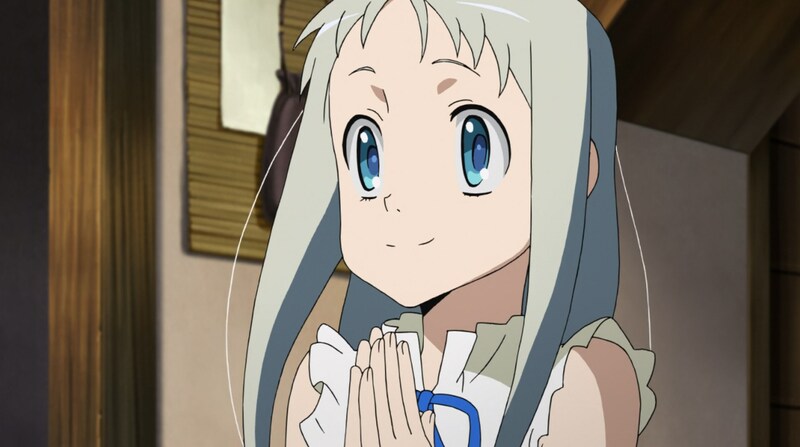 Menma was died in her childhood to do an unfortunate incident that indirectly involves the other main characters. Years later, she appears before Jintan and ask him to fulfill her wish. 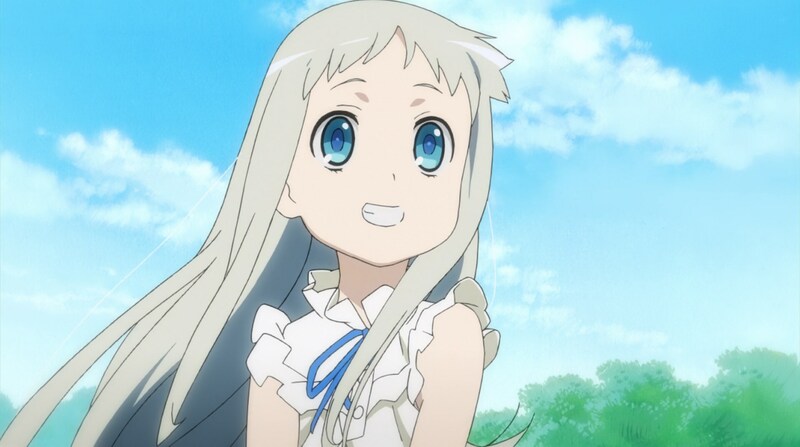 Menma’s body was shown as a grown-up but her mind is still a child, which is quite air-headed. She uses the same one piece dress she wore during the day when she died. Although Jintan is the only who can interact with Menma directly, Menma actually wants to be able to interact with the others as well. 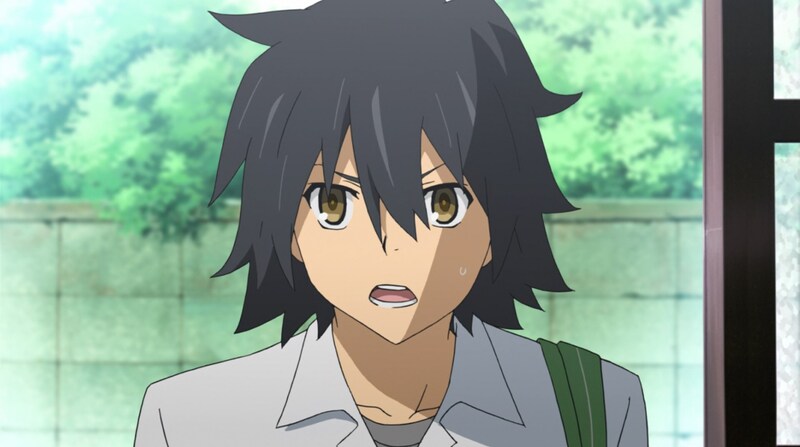 Anaru is the closest person to Jintan during high school. She attends the same school as Jintan and seems to be the only one cares to Jintan other than Jintan’s father in the beginning of the story. 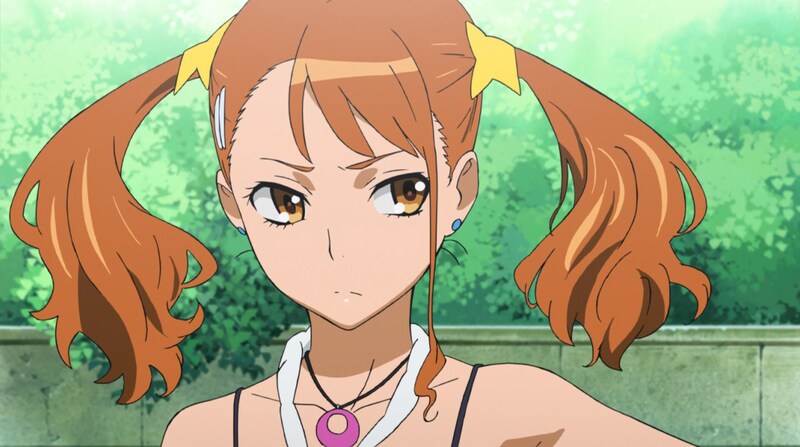 In her childhood, Anaru was an admirer of Menma but in her high school life, she is shown to be change quite a lot. She seems to influenced negatively with her two friends. Yukiatsu attends an elite school together with Tsuruko. He is quite a popular man in his school. He look down to Jintan because of what he has accomplished in his life. He used to feel inferior to Jintan during his childhood. He also used to feel jealous to Jintan because of his inferiority. Yukiatsu also has a dark and manipulative side. He is pretty much the character you want to hate the most until he able to accept the truth. 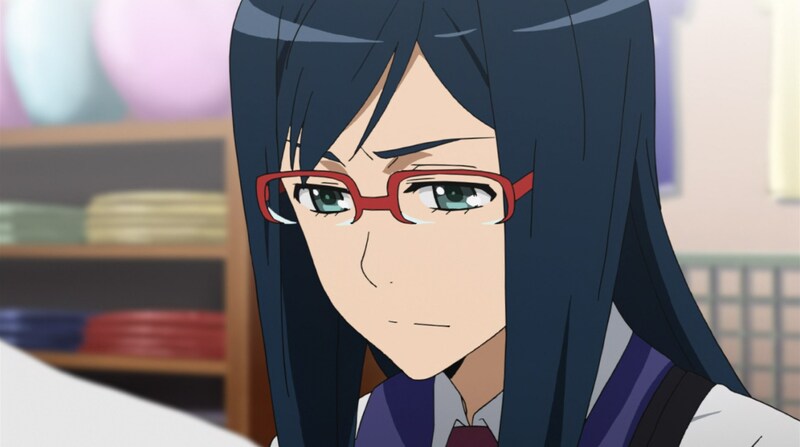 Tsuruko is shown as the most serious character. 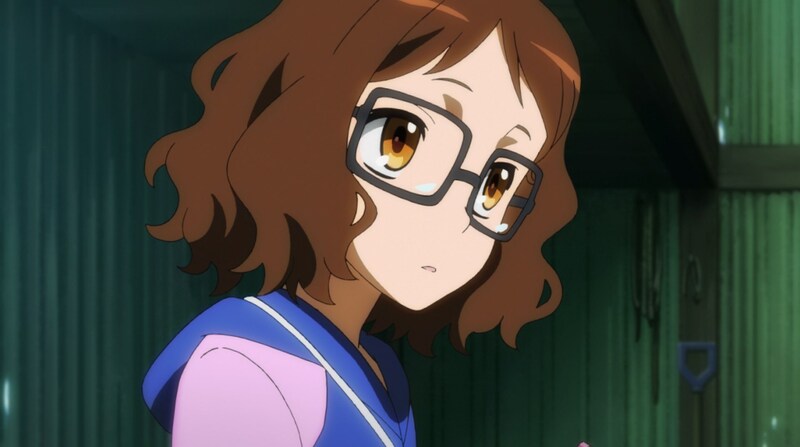 She attends the same high elite high school with Yukiatsi. Her attitude is very cold towards the others. She look down to Anaru because she study on her an elite high school. She states clearly that she doesn’t believe Menma was coming back to them. In her childhood, she wasn’t show much and I failed to capture the impression of her in childhood. 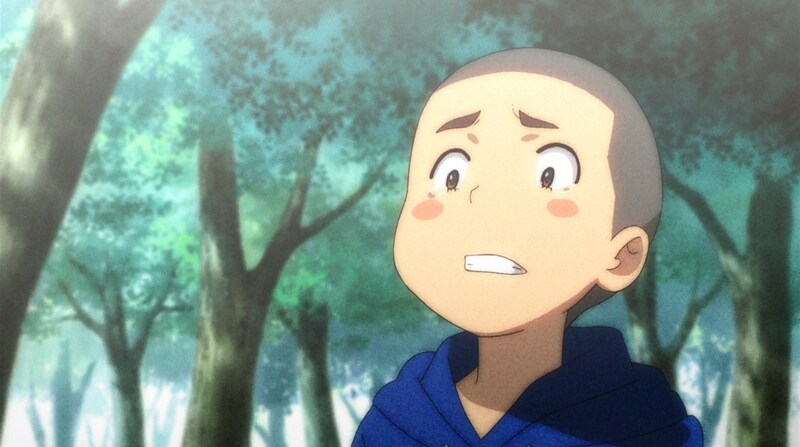 Poppo is the first to believe Jintan that Menma has return to the world. He used to admire Jintan during their childhood and still doesn’t change until Jintan in high school. 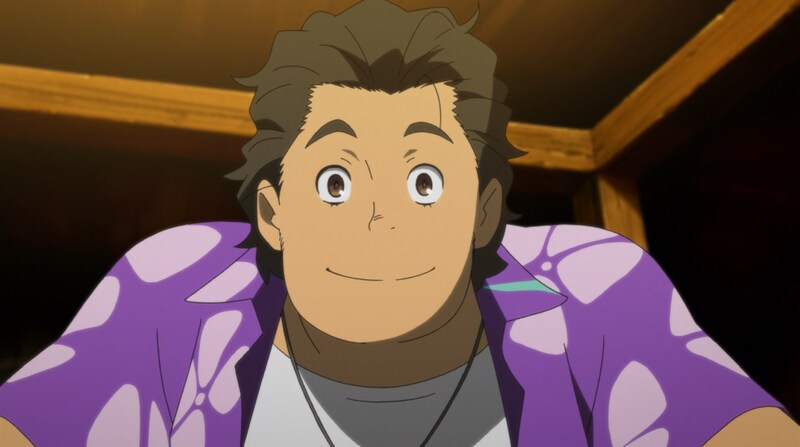 Poppo is also the one who is willing to help to fulfill Menma’s wish and help her to go to heaven. Poppo doesn’t attend high school. Instead, he does a lot of part-time work and travels around the world as part of his live. My impression with the voice actors and voice actreses are overall very good. They did even better in the movie. Kayanon is the most impressive here. Not just that, this Kayanon’s voice impressive role so far. Her role seems to be most challenging and she did excellent. Haru-chan is the second most impressive and the rests are about equally very good. It’s been three years since I cried after watching an anime. Not the tears of sadness though, but the tears of happiness. The ending is very satisfying, very impressive, touch my heart deeply, and let my tears flow because of the very deep impression. As I said, this is a masterpiece-class. Having a story quality only second to Natsuiro Kiseki, this is one the best anime I’ve ever watched. It’s not offering the best animation, far from it actually. But the music is excellent. The ending theme is super impressive. So impressive that the song alone was able to motivates to watch the entire anime. In the end, it’s a truly impressive anime that lack of negative feelings from me. If you had a childhood friend just like in this anime, please try to keep them just like what the characters in this anime do. Friendship is truly beautiful.